Wearable IoT technology is a hot topic, in part because growth predictions for wearables are so strong. For example, IDTechEx forecasts wearables will go from $20 billion in 2015 to $70 billion in 2025. Many wearables are electronic devices, such as watches and fitness trackers that act as peripherals for a mobile phone. But we’re also seeing something new – wearables as fashion, in the form of apparel, shoes, and other accessories. Indeed, a recent survey by the World Economic Forum (WEF) reveals that 92.1% of corporate leaders believe 10% of people will wear clothes connected to the internet by 2025, and 85.5% believe 10% of eyewear will be internet connected. The idea of smart clothing may be fairly new, but the fact is that fashion and electronics have been paired up for some time, as part of the supply chain. Radio Frequency IDentification (RFID), which can be read by a special reader device over a distance of a few meters, is already used to improve logistics, drive fulfillment, and make inventory more precise, with accuracy rates of up to 99%. 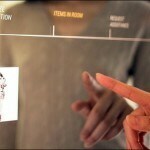 Now, as RFID tags have made their way into fashion items – in the form of a paper hang tag, a textile tag stitched into a collar, a button on a sleeve, or a durable tag pressed into the sole of a shoe – they’re letting fashion items interact with anyone, including consumers. Near Field Communication (NFC) technology, a specified protocol within RFID, is gaining ground in fashion items. It’s readable on any mobile-enabled device from within a few centimeters, and, when combined with connectable cloud software, creates new ways for brands and consumers to interact. NFC gives a unique, non-transferrable identity to each item, enabling brands to deliver value-added services that help drive revenue growth and loyalty, while also gathering customer intelligence. Authentication & anti-counterfeiting. Research shows that as much as 10% of luxury apparel, 20% of sportswear, and 30% of sunglasses are already counterfeit today (Vandagraf International Research, 2015). With NFC and mobile authentication services, consumers can be certain they’re buying genuine products, while brands and retailers can prevent revenue loss and protect their reputations. Context-sensitive digital content. NFC can provide digital content and services related to the product, based on real-time shopping needs, so as to motivate on-the-spot sales. Useful details, such as color or size selectors, reviews, social feeds, and in-stock item visibility, can sway the purchase decision. Recommendations for other items that complement the outfit can create cross-selling opportunities. After-sales service. NFC can enhance the user experience after the purchase, with easy access to customer care, exclusive brand applications and tools, or personalized rewards. These in turn help foster brand loyalty and repurchases. Customer intelligence. Cloud-based NFC applications can track all tag interactions, for added market intelligence. So brand owners can, respecting privacy law, collect valuable data on customers’ identities, their interests and habits. As the world leading producer of RFID-NFC identification products, we offer an extensive chip portfolio across reading ranges and security levels, suited for every kind of wearables, and already in fashion items that you can buy today. 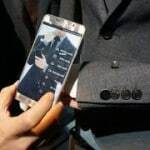 A men’s business suit, with an embedded NFC button on the sleeve. NTAG connects to a mobile device to open apps and exchange contact data. The tag also lets wearers unlock their phone as they take it out of their pocket, or exchange business cards digitally. You can also set different modes on the phone, like office mode or drive mode. When an NFC device taps the garment’s NTAG tag, the tag launches a mobile app that gives golfers information about the course they’re playing. You can, for example, see the distance from your current location to the hole, get extra information about your golf club, or check weather and UV ratings where you are. In collaboration with Juniper Research award-winning partner idOO born identity, swimwear tagged with NTAG guarantees product authenticity, and allows customers to enter an exclusive brand arena — all with the touch of a mobile phone. Extras include technical details, certifications, how to choose the right size, how to wear the garment, how to care for it, and more. 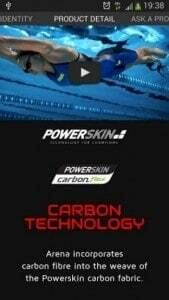 Purchasers can also interact with a swimming community that includes peers, professionals, and even champions. 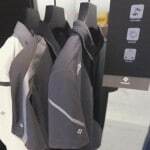 In New York City, the brand’s flagship store uses smart fitting rooms equipped with RFID-enabled mirrors to identify garments tagged with RFID UCODE when they’re brought into the room. The RFID tags are provisioned with a unique identifier which is then tied to other information. While in the changing room, customers can access pricing, look for alternate sizes and colors in stock, complementary items, stylist recommendations, or send a prompt to a shop assistant. The interactions are logged by backend software, providing the company with important data on consumer interests and habits. Have you ever interacted with a fashion item in a store? Do you agree with the WEF findings that the next decade will see a significant number of people adopting internet-connected clothes?